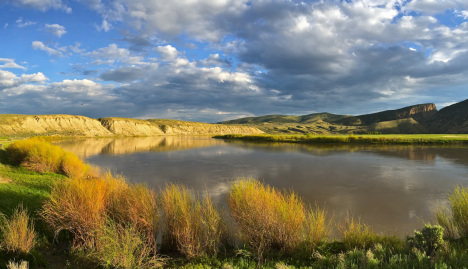 Groundwater is a huge factor in assessing climate change impacts on the Colorado River. @bberwyn photo. Resource managers need as much information as possible about Colorado River flows to make sustainable management decisions. Resource managers grappling with the vexing question of how to allocate Colorado River water to the thirsty cities, ranches and farms of the Southwest have some new food for thought. 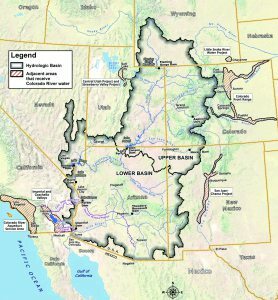 A new U.S. Geological Survey study published this week in the journal Water Resources Research shows that more than half the streamflow in Upper Colorado River Basin originates as groundwater. This entry was posted in Ground Water, Nature Conservation by GarryRogers. Bookmark the permalink. Am stealing this for the CWAG News & Views. Thanks for posting!